Life just got easier! Clean bottles and odd-shaped containers cith effervescent tablets Simply drop tablet in bottle/container, add water, let sit for 20 minutes, empty, finally just wipe out your container. Plop, plop, fizz, fizz, oh what a relief it is. If I had a nickle for every time I missed the nail whilst hammering, I’d be rich! Keep your precious fingers out of the line of fire by using an aid to hold nails in place. 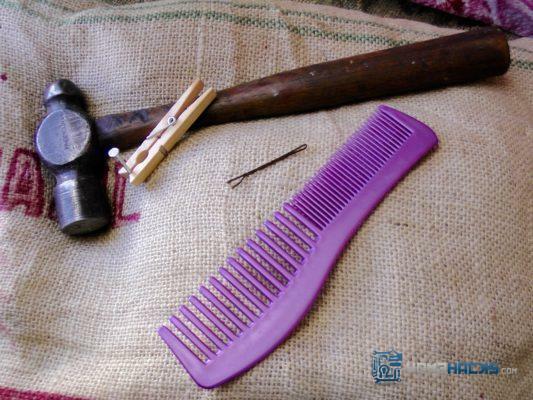 Personally, I prefer the clothes pin holder, however a bobby pin or comb works just as well! All you need to do is hold nail with clothes pin, hair pin or comb to prevent smashing fingers then pound nail into place with hammer. This is a great organizational hack! 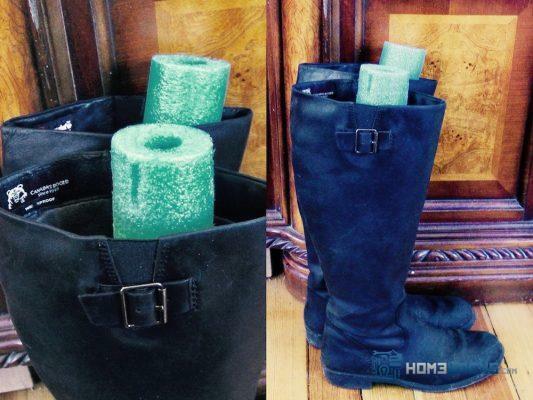 Use pool noodles as boot inserts to keep them upright. 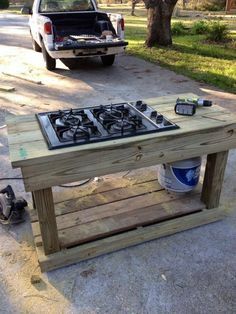 This hack saves space as well as boots. Slip a pool noodle inside desired boots, measure to top of boot, cut with scissors and then do the same for the other. 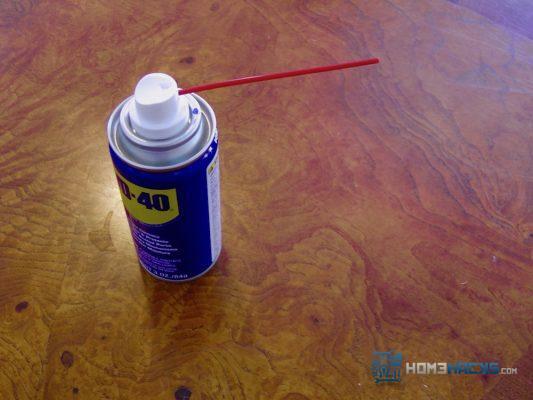 It’s so easy to remove shoe marks with WD-40. All you need for this hack is an annoying shoe streak across your tile or wood floor, WD-40 and soft cloth or paper towel. Spray WD over streak, let sit for a minute then wipe away with soft cloth. It is that easy! 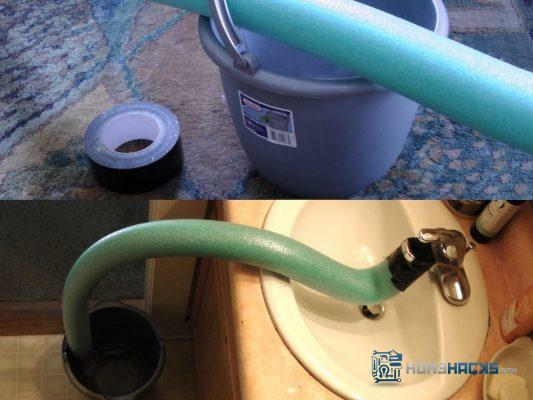 Use a pool noodle as a faucet hose attachment in order to fill your mop bucket. Pool noodles are not just for floating in the water anymore! To use these polyethylene foam tubes as a hose extension just hook the faucet through one of the openings of the noodle. Position bucket at the other end of noodle, then you are ready to turn on the water. Learn this remove gum from carpet hack from YouTube’s CupRockTV. If you have ever had the misfortune of finding a wad of gum stuck to your carpet then you’ll appreciate this hack. The materials required include ice cubes, rubbing alcohol, gum stuck to carpet and a brush. As a bonus you will also learn how to remove gum from clothes and hair as well.